Carlingford is a town located on the Cooley Peninsula on Ireland’s east coast, just 10km from the border with Northern Ireland. To the east of the town is Carlingford Lough, a sea inlet between county Down and county Louth, and to the west is the mountain Slieve Foye. The area around Carlingford Lough has been a popular tourism spot since Victorian Times, when the train route between Belfast and Dublin was opened, and its popularity hasn’t waned, with tour buses still spilling tourists in to the town and parking spaces very difficult to come by, even at the end of September. We spent a very comfortable night at Riverside Lodge B&B, 10 minutes drive outside the town. The town itself is very popular with hen and stag parties, so if you want some peace and quiet, it’s a good idea to locate yourself on the outskirts. 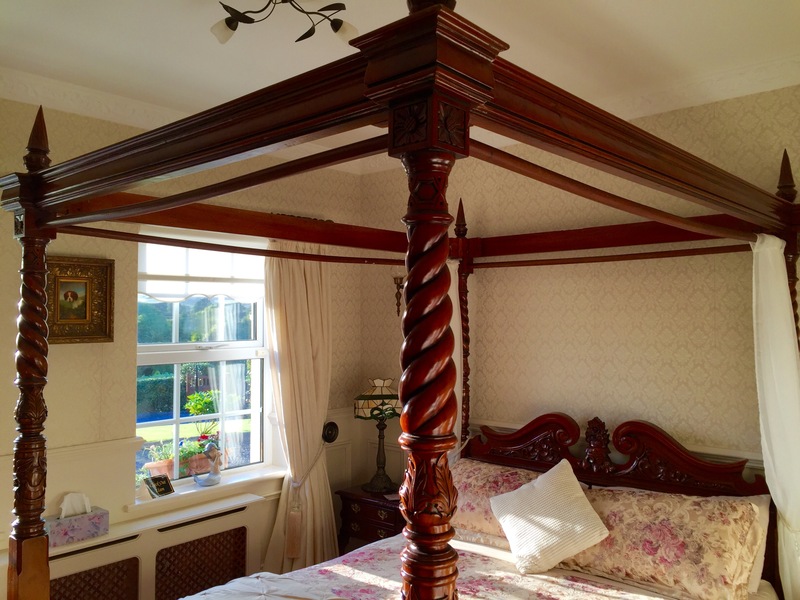 Elaine and Sean at Riverside Lodge truly offer everything you could possibly need during your stay: the room had a beautiful four poster bed, along with a free mini-bar with tea & coffee making facilities, bottled water and crisps! We even had our very own taxi driver in the form of Sean who dropped us free of charge in to the town and picked us up when we were ready to come home. World class service! If you’re still wanting to have a few drinks when you return, there is a residents’ lounge in the form a log cabin in the garden. After a very pleasant sleep, we enjoyed a delicious breakfast with more food than we could even manage to eat. What more could you want? A terrific spot brought to my attention by the abundance of geocaches along the walk, the greenway stretches for over 6km between Carlingford and Omeath. We didn’t have the time to do the whole greenway, so we parked at Greer’s Quay (which is at about the halfway mark, and walked for 2 km towards Carlingford. 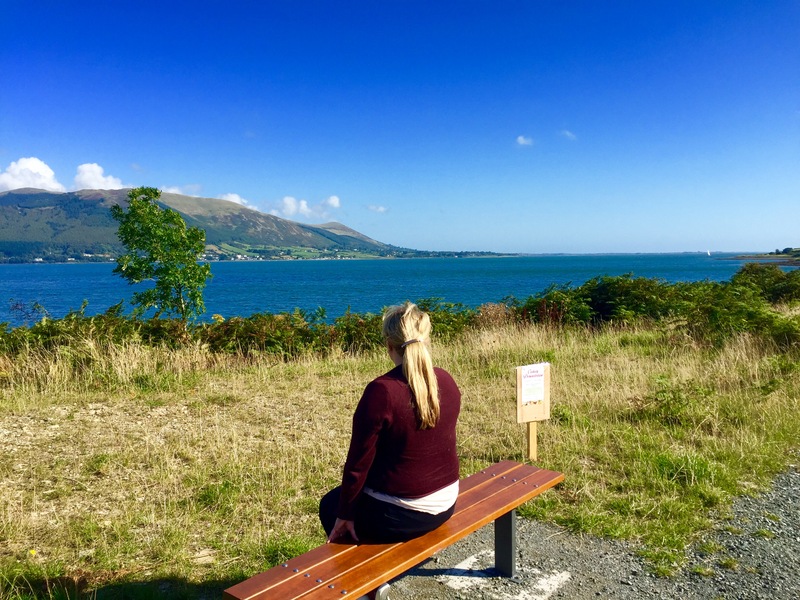 The greenway is a great way to enjoy views of the lough up close. 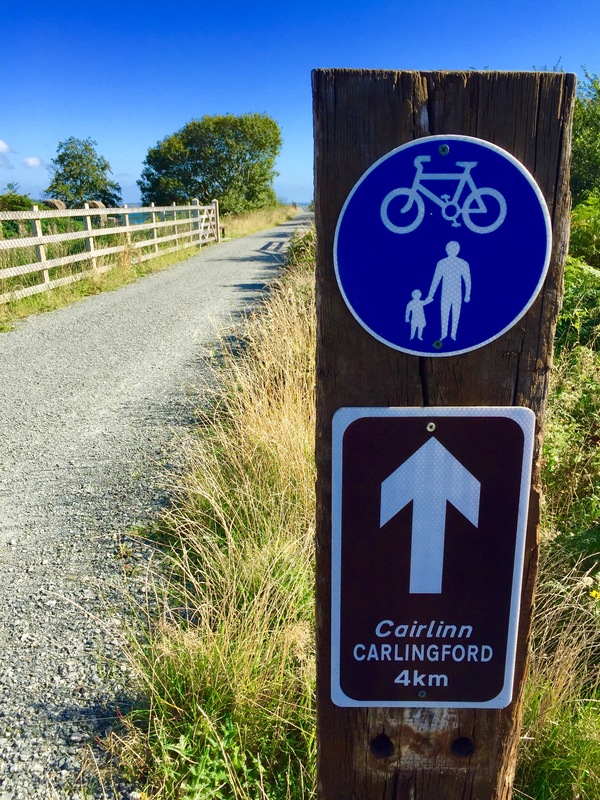 There are bicycle hire facilities available in Carlingford town, if you have the time to cycle to Omeath and back, it’s well worth experiencing the magnificent views of Carlingford Lough and Slieve Foye from along the greenway. 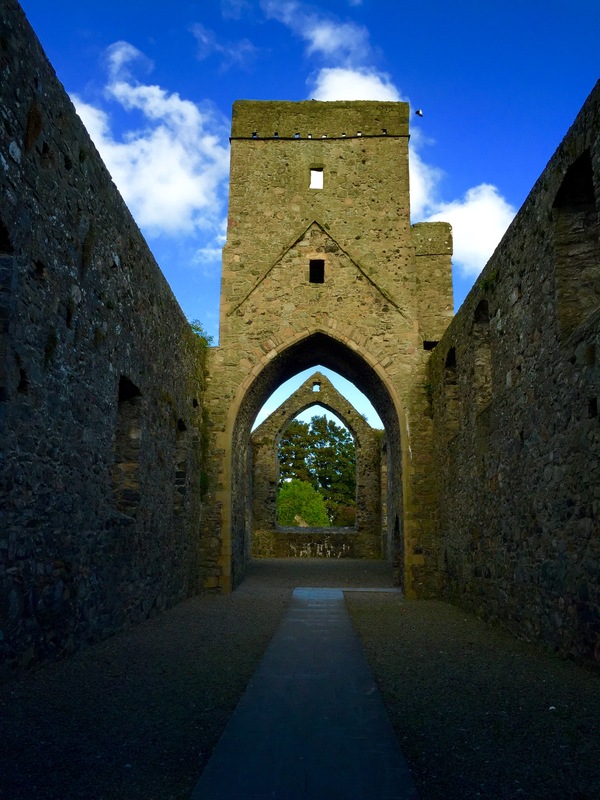 Carlingford has a rich history, the remains of which are still visible in the town. I had done some online research before we went and discovered a historical walking tour. When we arrived in the town, we headed for the Tourist Information Office to make enquiries, but unfortunately these tours are now only available for groups and must be booked in advance. We did, however purchase a town trail map for €3.95 and walked the short route on our own. 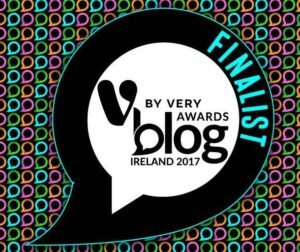 We had been given lots of recommendations for great places to eat in Carlingford and P.J.’s was one of them. We went to dinner at 7pm but if you want to go any later or want a specific restaurant, you really need to book in advance for Saturday evenings, as the town is packed! 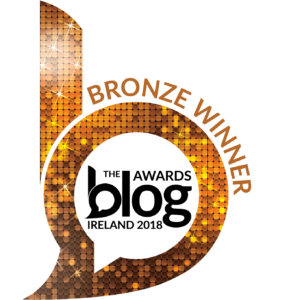 P.J.’s is in a great location right on Tholsel Street, and has won Best Gastropub in Louth on four occasions in the last five years. The staff were very friendly and the service was really quick. The food was delicious and the portion sizes huge. 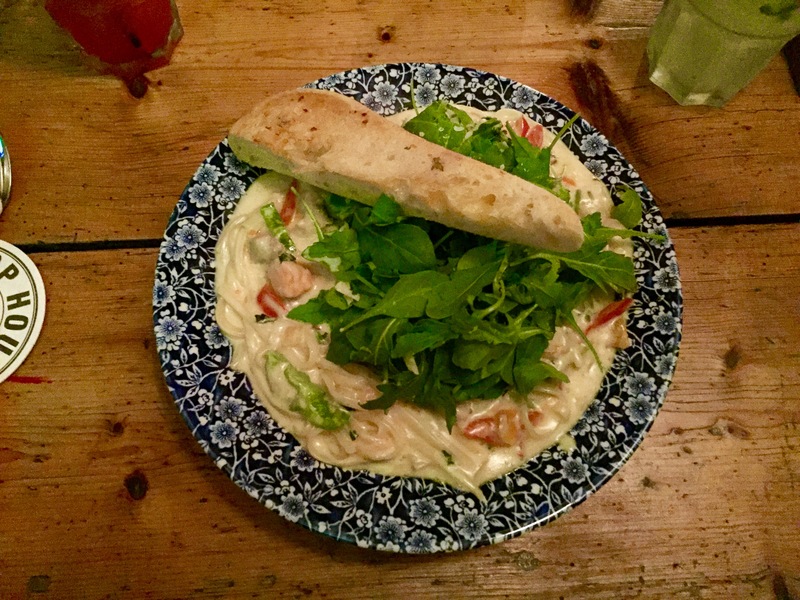 Seafood is big news in Carlingford, so I decided on the seafood linguini and was not disappointed. The dish was packed full of delicious fish. 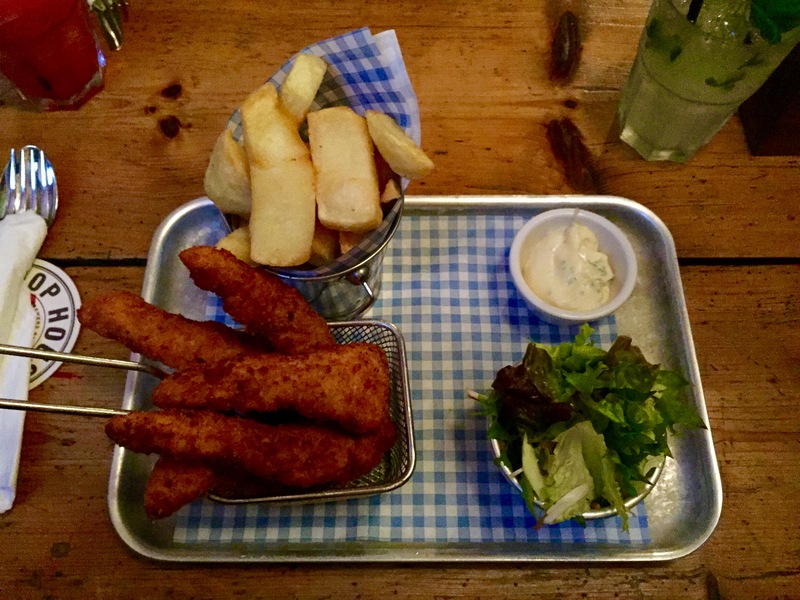 My other half enjoyed the chicken goujons and cleaned his plate. I had a taste too (for research purposes, of course) and can attest to the flavour and quality of the chicken. After a hearty breakfast at the Riverside Lodge B&B, we decided to take a spin out to Omeath, with a stop off at Slieve Foye Forest. 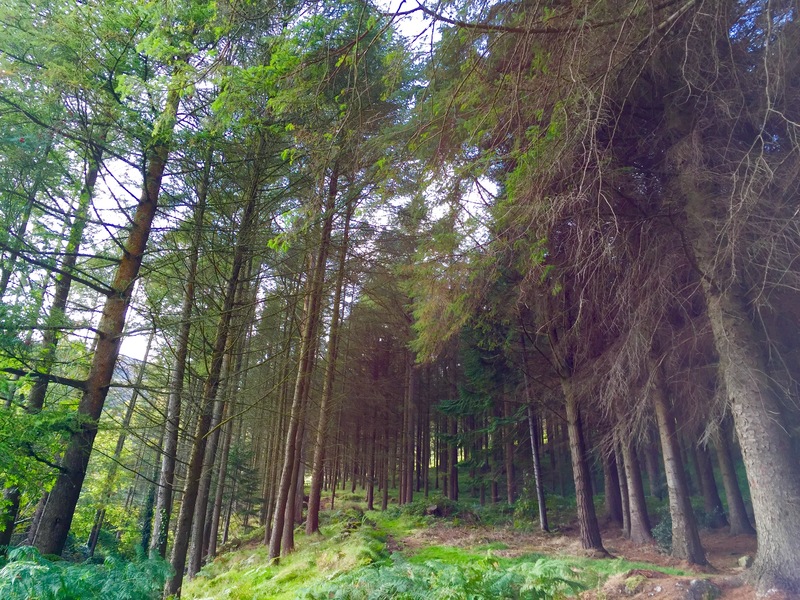 Slieve Foye Woods is located at the foot of Slieve Foye Mountain, on the road between Carlingford and Omeath. 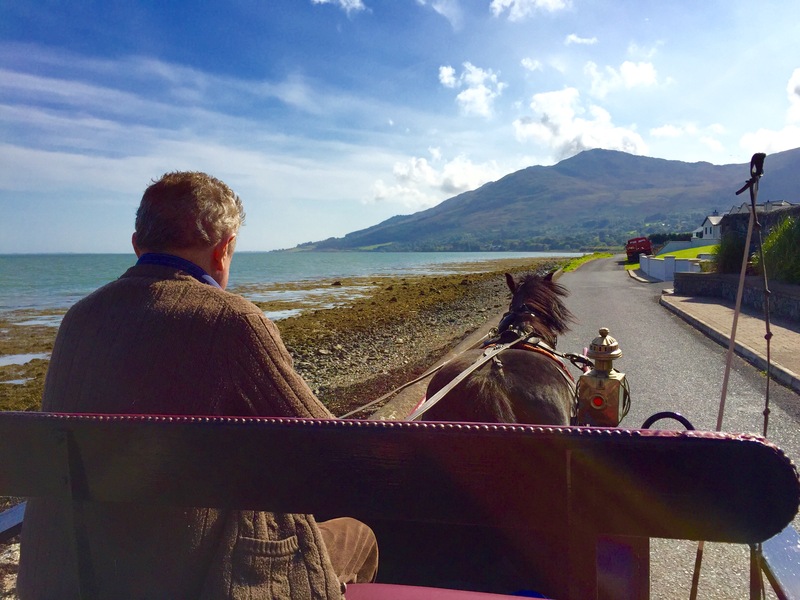 There is a road in the woods that allows you to drive up to 125 metres above sea level and enjoy the panoramic views over Carlingford Lough. If you’re feeling adventurous, you can walk up to the summit of Slieve Foye from here, or walk along one of the many trails. There are some geocaches to be found on the trails too. After a stop off at Slieve Foye Woods, we carried on to the quaint village of Omeath. There are beautiful views across to Warrenpoint from the end of Station Road. We were pleasantly surprised to see a horse and buggy offering short trips along a part of the Greenway, so we jumped at the chance. It cost just €8 for the two of us. 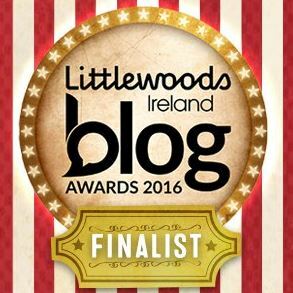 We were very glad to chance upon this little gem while we were in Omeath. 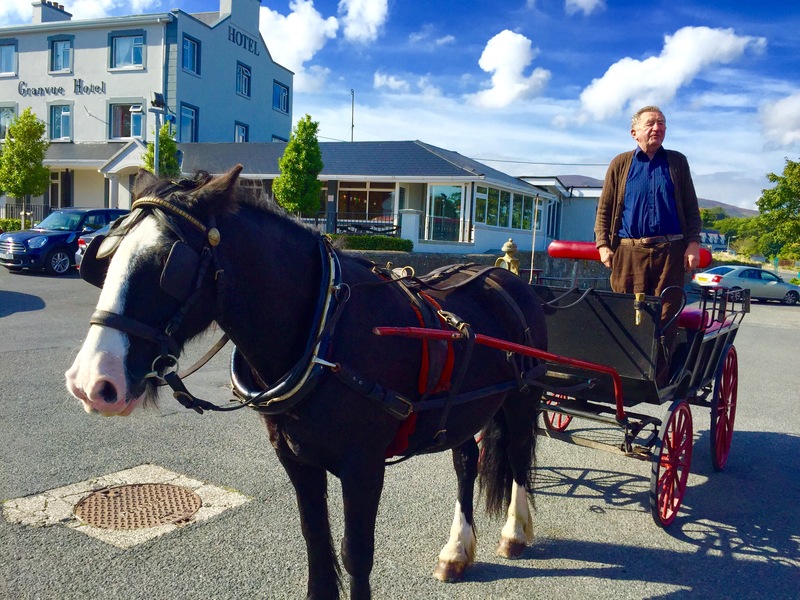 I highly recommend taking the time to visit Omeath and meet Smokey the horse if you’re in Carlingford. Kingfisher Bistro was another restaurant that came highly recommended by friends and since we couldn’t get a table on Saturday night as they were packed out, we decided to come back for lunch on Sunday. We were lucky to get a table this time, although it was still very busy. 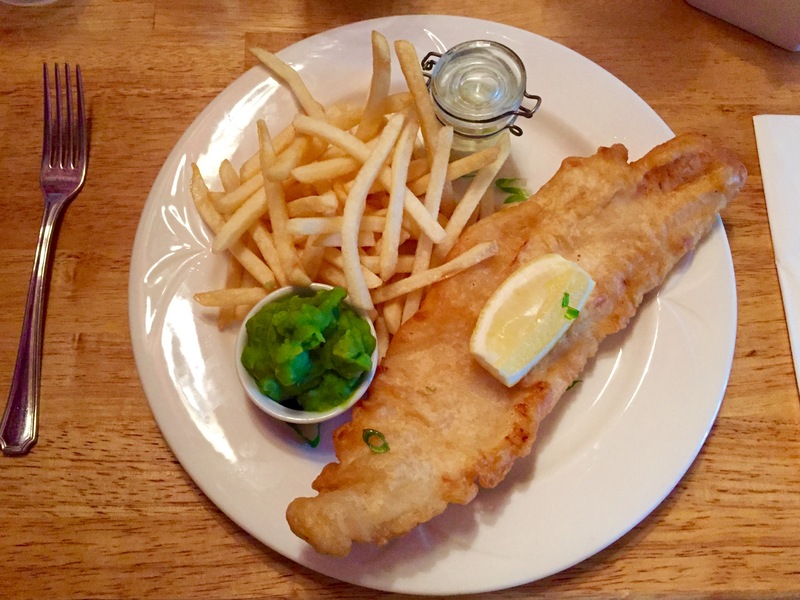 I opted for traditional fish & chips, which came with mushy peas. I thoroughly enjoyed it and left nothing on the plate. The portion size was just right for lunch. I wasn’t a fan of the tartare sauce, as it was a bit tangy for my taste but the fish was delicious on its own. 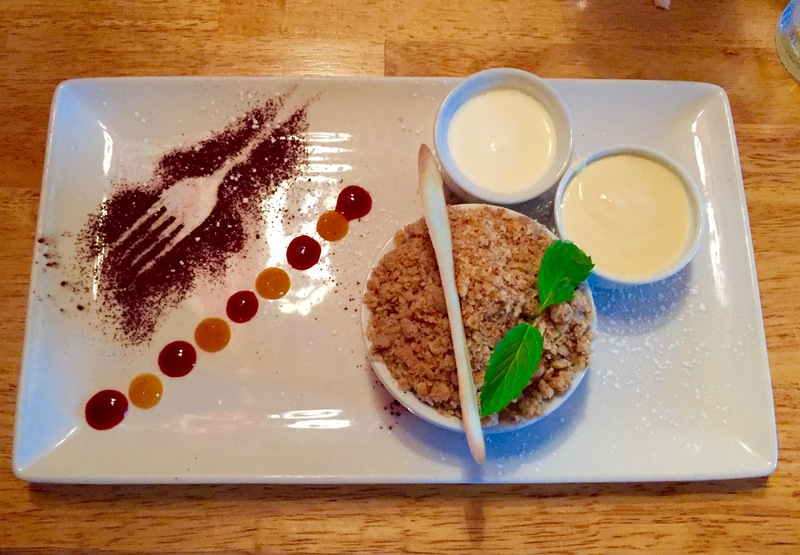 I even had a little room for dessert – a delectable pear and apple crumble that went down a treat! 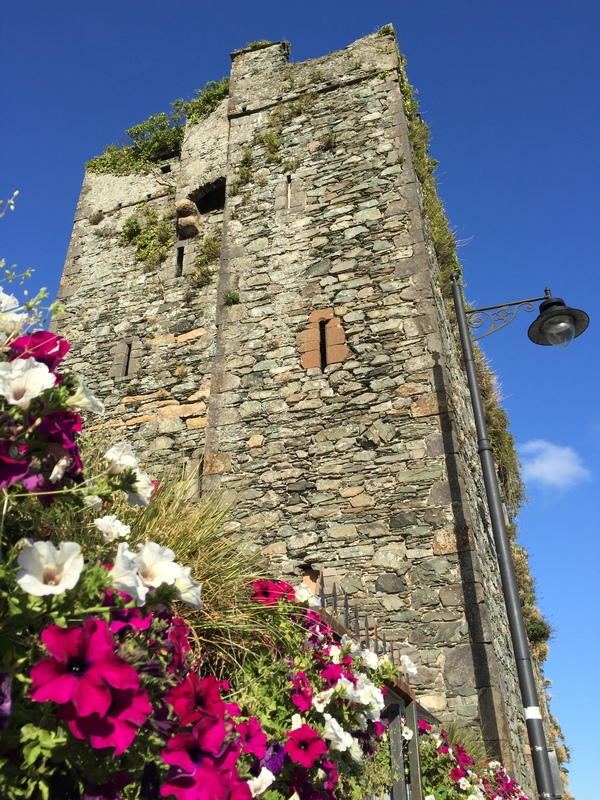 Carlingford has a lot to offer. 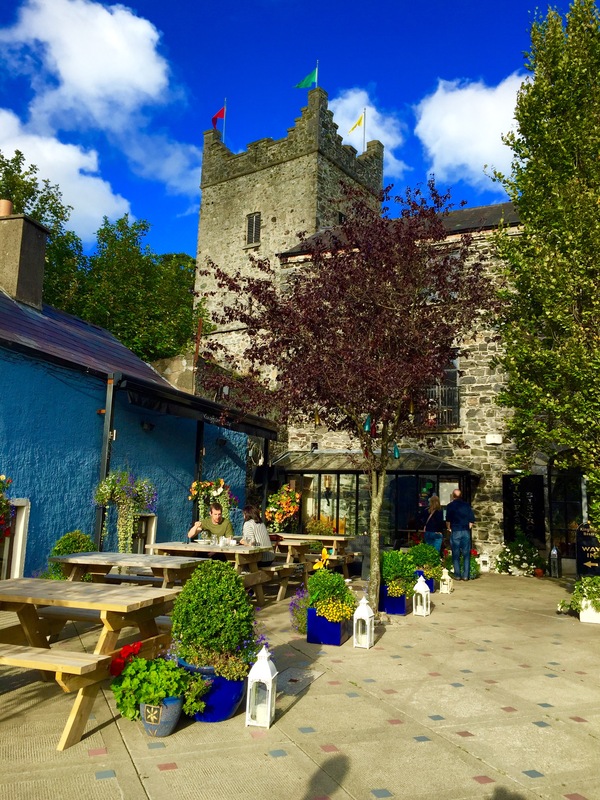 Lovers of the outdoors will enjoy a gentle walk or cycle on the greenway or a hike up Slieve Foye, culture vultures will bask in the history of the town and foodies will be in their element with the vast array of top quality restaurants on offer. 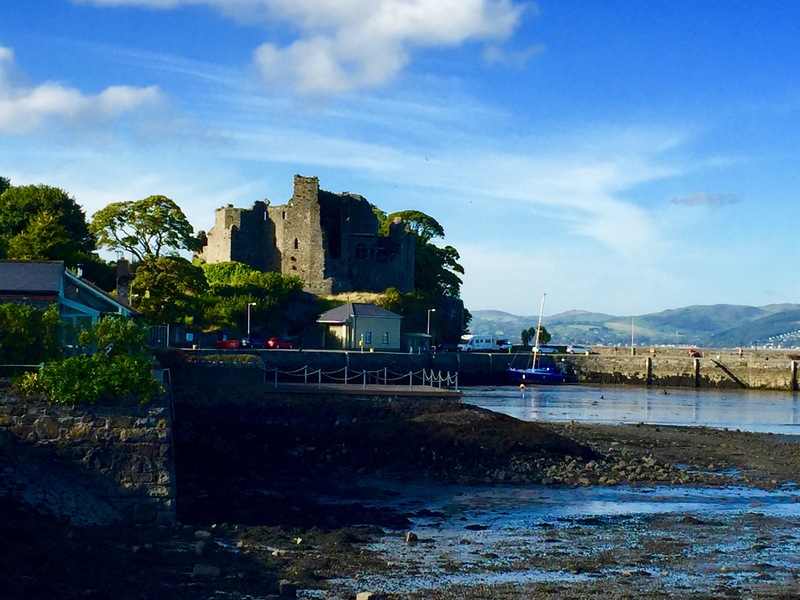 Situated conveniently between Belfast and Dublin, Carlingford is the perfect place to get away from the city for a weekend and soak up the atmosphere and scenery. Let me know in the comments if you try out any of my recommendations.